Chicago Police Supt. Eddie Johnson talks to NBC 5's Alex Maragos about crime rates in the city, the Jussie Smollett case and more. An internal investigation at the Chicago Police Department has been opened regarding the possibility of information being leaked in the Jussie Smollett case, officials confirmed. 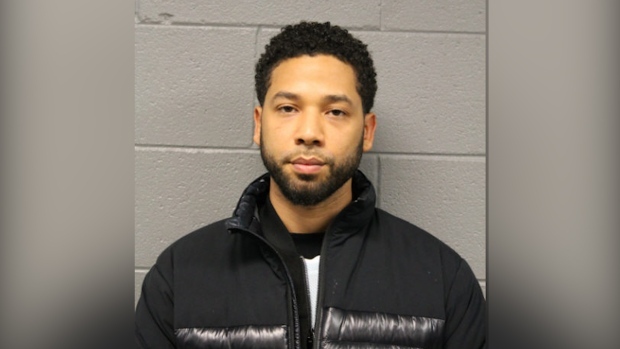 Smollett is charged with felony disorderly conduct for allegedly making a false police report. His attorneys say he's innocent. His report to police prompted days of intense media scrutiny. "I would like to point out that a lot of the information out there was inaccurate and there were numerous agencies involved in this investigation," a department spokesperson said Thursday. "As a standard procedure when there are allegations of information being leaked, an internal investigation has been opened and we are also looking at our vulnerabilities." No other information was immediately available about the internal investigation. A little more than a week after Chicago police laid out what appeared to be a damaging case against the "Empire" star, a defense strategy began emerging — much of it centered on discrediting the two men who pointed at Smollett as the mastermind. Police say the case against Smollett turned in the final hour of their two-day interrogation of Nigerian brothers Abimbola and Olabinjo Osundairo. But questions over the brothers' motives and the evidence prosecutors and police said they have against Smollett are rising, defense sources say. Smollett, who is openly gay, said his attackers used homophobic slurs during the incident. Fellow "Empire" actors have reported witnessing at least one of the brothers make such comments to another cast member on the set of the show. Years-old tweets involving purportedly homophobic comments from what appeared to be Olabinjo Osundairo's account also surfaced, but were subsequently deleted. Smollett's defense is expected to argue the check police have said was payment for the hoax attack was actually for training to help Smollett get in shape for a music video shoot, sources familiar with the case said. Images of the check obtained by NBC 5 show a memo line that read "5 week nutrition/workout program (Don't go)." The check was dated Jan. 23, six days before Smollett claimed he was attacked in Chicago. Screenshots of text messages, confirmed to be authentic by sources familiar with the matter, also showed Smollett and one of the brothers discussing a meal plan and grocery list in the days before the alleged attack. Defense sources also point to potential money problems as both brothers filed for bankruptcy in 2016. There are also questions about the information police initially released in the case. Supt. Eddie Johnson said Smollett misled investigators from the beginning by saying at least one of his attackers was white. That key detail was not included in the first police report, a subsequent community alert or Smollett's own public statements. The detail wasn't made public for several days following the alleged attack. Authorities have claimed Smollett staged the attack because he was unhappy with his salary. Evidence surrounding that claim has not been released, but "Empire" producers wrote Smollett's character off the final two episodes of the season amid the ongoing investigation. The attorney for the brothers involved in the alleged staged attack released a statement Thursday saying they have "tremendous regret over their involvement in this situation." "They understand how it has impacted people across the nation, particularly minority communities and especially those who have been victims of hate crimes themselves," Gloria Schmidt said in the statement. Chicago police spokesman Anthony Guglielmi told NBC Sunday the department stands behind its investigation. Johnson said Friday there's more evidence in the case that hasn't been revealed. "As far as the evidence goes, we laid everything out in the bond proffer — the highlights of it — but there’s additional evidence out there that we haven’t released yet, but it’ll help support that the alleged incident didn’t occur the way that he claimed," Johnson told NBC 5.